Are photographers allowed to mention restrictions? 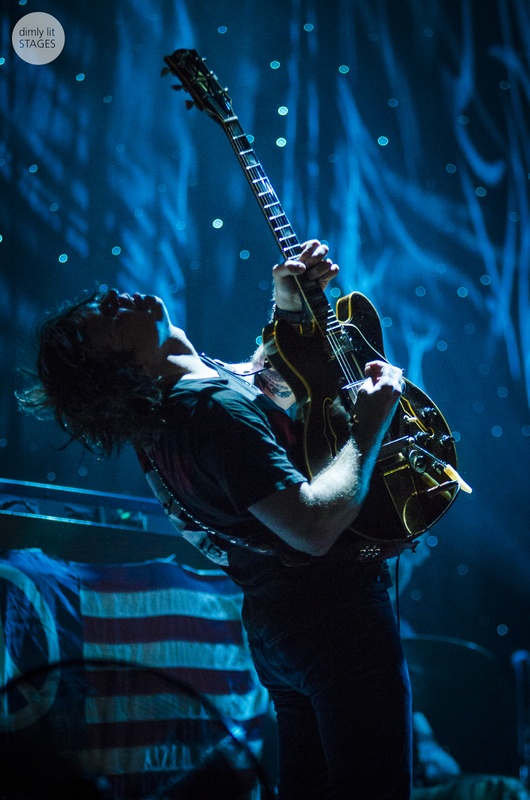 I photographed Ryan Adams at the Down The Rabbit Hole festival in the Netherlands. Mr. Adams didn’t want any photographers in the photo barrier, so we had to capture his gig from behind the PA. Way to far if you’re not that tall and don’t have the best equipment. Luckily a kind security guy told me ‘anywhere in the audience is fine’. So I stood right behind the barrier and was able to make this image, my favourite action shot of the festival.